The family businesses of Seafield and Strathspey Estates operate through a number of trading concerns and include farming, forestry, fishing, accommodation and field sports. This is the main business in the Cullen area with let farms and residential property and provides the administration for the management of all the family ownerships and related businesses. There is considerable interaction with the local villages. As the major landowner in the area, the Estate acts as a facilitator, making land available for housing and commercial needs to enable the settlements to grow. 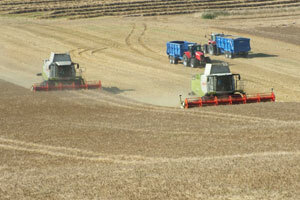 Land use is mainly divided between reasonable sized arable holdings and commercial forestry. Much of the farm output is in the form of quality malting barley for the local whisky distilleries. 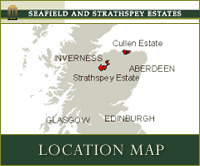 Strathspey Estate is the trading name of the Reidhaven Estate and offers a range of field sports – primarily salmon fishing, but also by arrangement red deer and roe deer stalking, and grouse shooting. The Estate manages some of Scotland's most prestigious landscape. 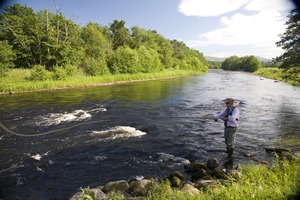 Our sporting brochure and quality accommodation, which is also available for corporate or private lets, can be viewed at www.strathspey-estate.co.uk. The three Castle Grant fishing beats are internationally renowned. The sporting operations, including grouse moors, are managed entirely commercially rather than for the benefit of the proprietor. Sporting shooting is labour intensive. While revenue comes from only a few days sport, there is a continual programme of vermin control and moor maintenance. The sport is expensive to supply and operate but it enables essential essential land management to be financed and helps maintain our beautiful Scottish uplands. Shooting supports rural families and jobs and brings considerable foreign currency into the local economy. Shooting sports receive no subsidy from the EU or the UK Treasury. Under the new European Common Agricultural Policy (CAP), the partnership qualifies for 1,269.05 Single Farm Payment (SFP) units of entitlement. The amount paid is after deductions for the National Reserve, modulation and financial discipline. In 2013 the payment is around £304,000 (around ï¿½70 per acre). 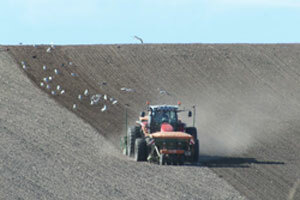 Payment depends on the land being managed to Standards of Good Agricultural and Environmental Conditions (GAEC). The SFP and associated cross-compliance controls acknowledge the public benefits derived from good agricultural management. Under the new CAP proposals, it is anticipated that the SFP will reduce in future years. Woodland at Cullen is predominantly Sitka spruce which grows on a 55 year rotation and is intended, mainly, for the UK construction market. In the course of a growing cycle, a number of thinnings may be made to allow the better development of the crop. 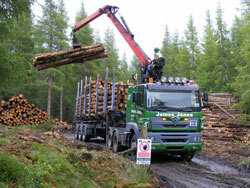 Much of the timber at Strathspey is native Scots pine which has a much longer growing cycle. All of the family woodlands are certified under the UK Woodland Assurance Standard (UKWAS). 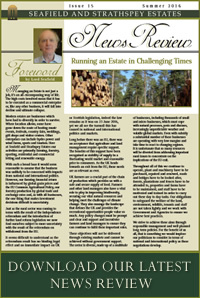 Compliance with UKWAS involves adhering to agreed principles and practices of sustainable forest management, from initial planning to harvesting. UKWAS is recognised by the Forest Stewardship Council (FSC), which is an international organisation that brings people together to find solutions which promote responsible stewardship of the world’s forests. The business qualifies for 374.24 Single Farm Payment (SFP) units of entitlement after Standards of Good Agricultural and Environmental Conditions (GAECs) have been met, with the 2013 payment in the region of £90,000 (ï¿½83.50 per acre). 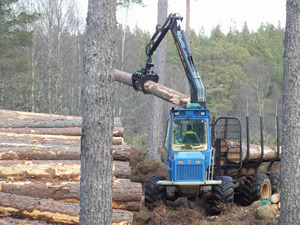 With business interests at both Cullen and Strathspey, income is generated from forestry and the letting of agricultural land at Cullen. This small farming business also grows cereals and qualifies for Single Farm Payment entitlements. This Company provides a small industrial site at the former Boyndie Airfield, near Banff. 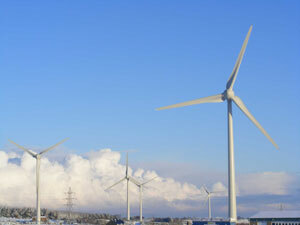 A wind farm at Boyndie has been generating electricity since 2006 with eight turbines now on the site.